Just a day after the 9/11 commemoration last week, the Council on American-Islamic Relations (CAIR) announced that Kifah Mustapha will be among their featured speakers at their annual banquet a on Saturday, November 17th at the Marriott Crystal Gateway in Arlington, VA.
Who is Kifah Mustapha? Well since you asked, Mustapha is currently an imam and associate director of the radical hub The Mosque Foundation in Bridgeview, IL. In February 2004, the Chicago Tribune published an investigative report, “Hard-liners won battle for Bridgeview mosque”, which reports that convicted Palestinian Islamic Jihad operative Sami Al-Arian had been videotaped raising funds in the Bridgeview mosque to wage jihad and commit terrorist acts against Israel. The Tribune article also describes how extremists had taken over the mosque in a leadership coup. Mustapha is now part of that leadership. The mosque had also had another curious guest — Abdullah Azzam, Osama bin Laden’s mentor, and co-founder of what became Al-Qaeda. Nice. 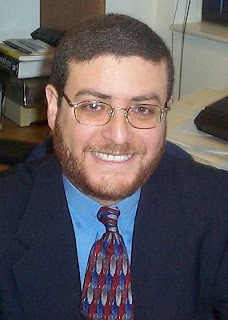 Mustapha was immediately hired by The Mosque Foundation in 2001 after his previous employer, the Holy Land Foundation, of which he was the executive director and ran their Chicago office, was closed down by the US government in the wake of 9/11 for funneling funds to Islamic terrorist organizations. Between 1991 and 2001, the mosque gave a total of almost $400,000 to three Islamic charities: the Global Relief Foundation, the Holy Land Foundation and the Benevolence International Foundation. All had offices near the mosque and shared many of its leaders. When the charities were closed after 9/11 for financing terrorist activities, the mosque leaders thumbed their noses at the government, re-electing GRF officer Mohamed Chehade to its board and hiring Kifah Mustapha, who had run the Chicago-area HLF office, as its new prayer leader. Other prominent members of Bridgeview have ties to terrorist groups too. Muhammad Salah, who was on the mosque’s executive committee until 1993, is under house arrest, pending trial on charges of laundering millions to fund Hamas. Bridgeview’s imam was the treasurer in the mid-’90s for Al Aqsa Educational fund, described by the FBI as a front for Hamas. The list goes on. This invitation to be honored by CAIR comes as former officials of the Holy Land Foundation are currently on trial in a federal court in Dallas, TX. In fact, Kifah Mustapha was named as an unindicted co-conspirator in that trial, along with CAIR. 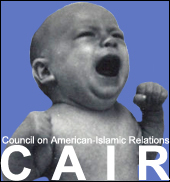 When it comes to terror-loving jihadis, old habits die hard for CAIR. And who is the national vice-chairman of CAIR? Columbus’ own smilin’ Ahmad Al-Akhras. “That one may smile, and smile, and be a villain.” — Hamlet: Act I, Scene 5. Today We Remember. . .